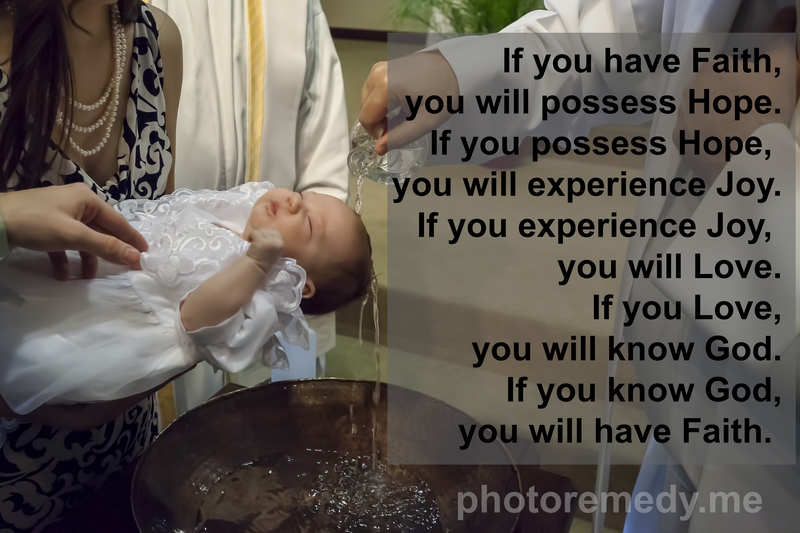 This month, we were blessed with the opportunity to participate in our precious granddaughter’s baptism. The ceremony, of course, provided ample photoremedy. More importantly, it served as a great reminder of why I believe in the importance of giving our children the powerful gifts of faith, hope, joy, and love. These gifts can come in many different packages, and often take different delivery routes. The world, however, is always a better place when they are delivered. This entry was posted in Health, Photography, Uncategorized and tagged baptism, faith, God, hope, joy, love by azgilstrap. Bookmark the permalink.